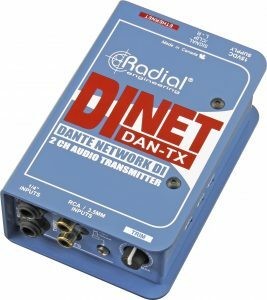 The Radial DiNET DAN-TX is a 2-channel Dante™ transmitter for adding instrument or line level inputs to any Dante system. 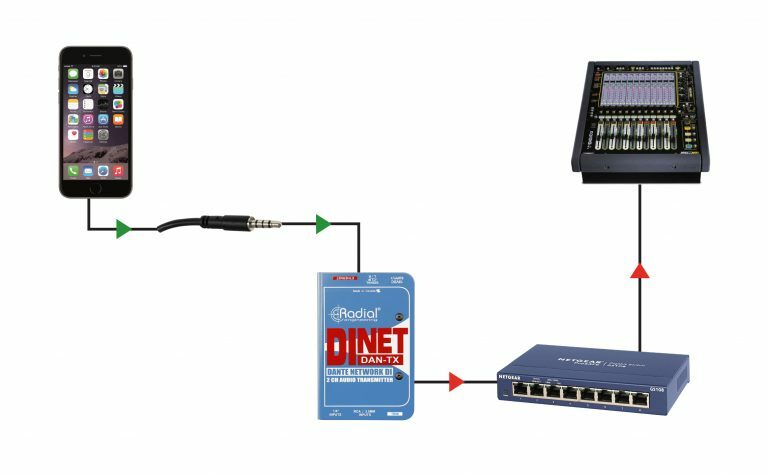 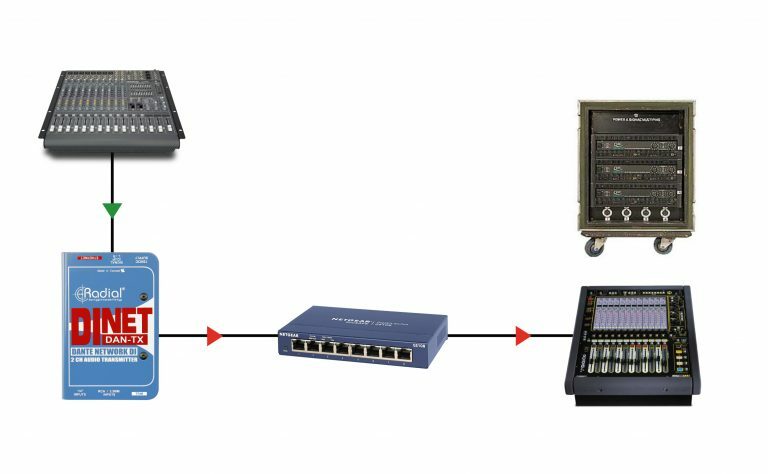 Need to connect a smartphone, tablet, or any playback device to a Dante network? 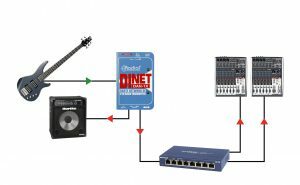 How about an electric guitar, while still feeding an amp on stage? 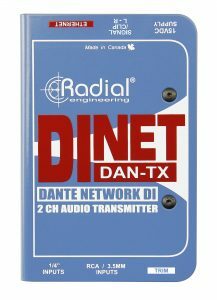 The DAN-TX can do it all. 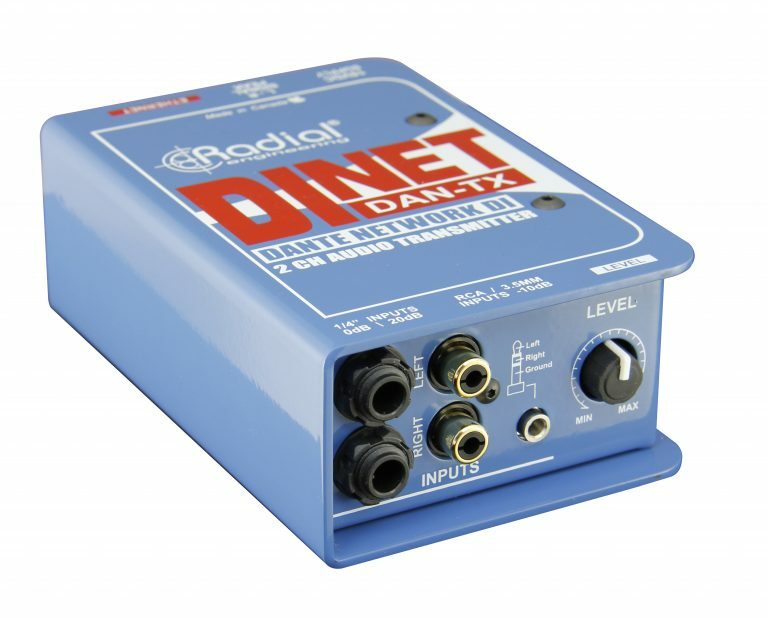 In fact, with signal handling of up to +24dB, you can connect the line level outputs of a mixing console to the DAN-TX without breaking a sweat. 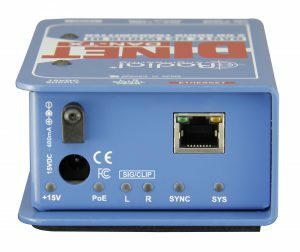 A local level control allows you to adjust as needed, and a number of input connector types ensures you won’t be digging around for an adaptor cable at a critical moment. 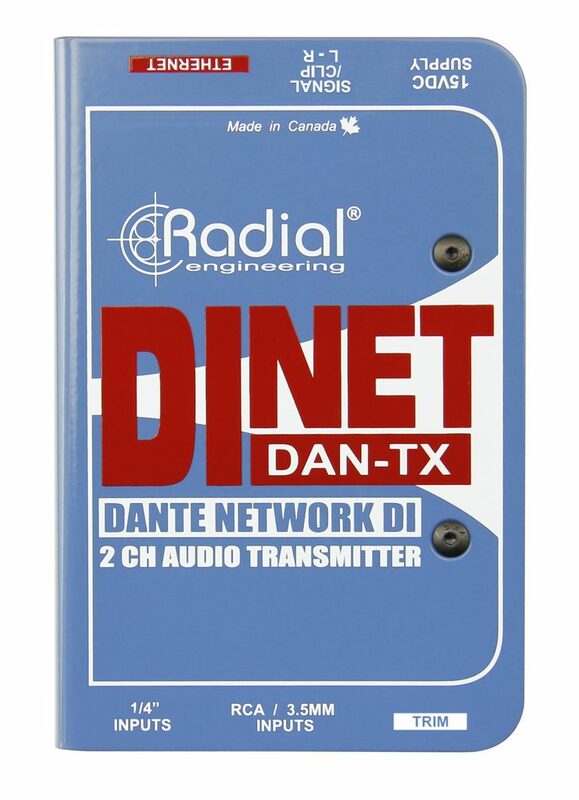 No matter what source you’re using, the DAN-TX is the easiest way to get your analog audio onto a Dante network. 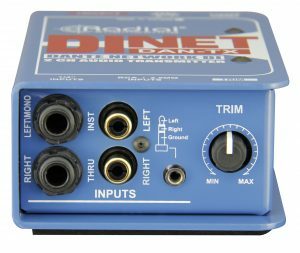 Switching to instrument mode changes the Right ¼" connector to a Thru-put for connection to a local amplifier. 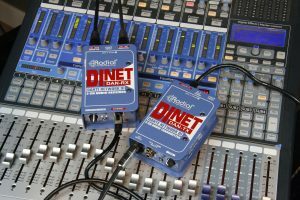 Now your instrument can be routed anywhere on Dante network while still allowing for local monitoring through the stage amplifier. 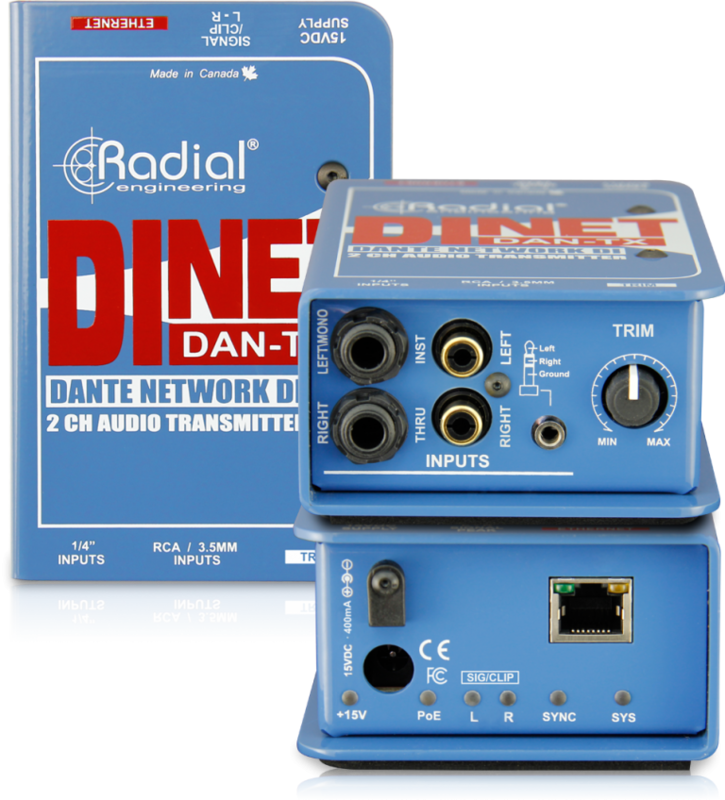 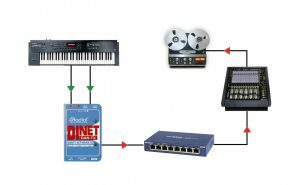 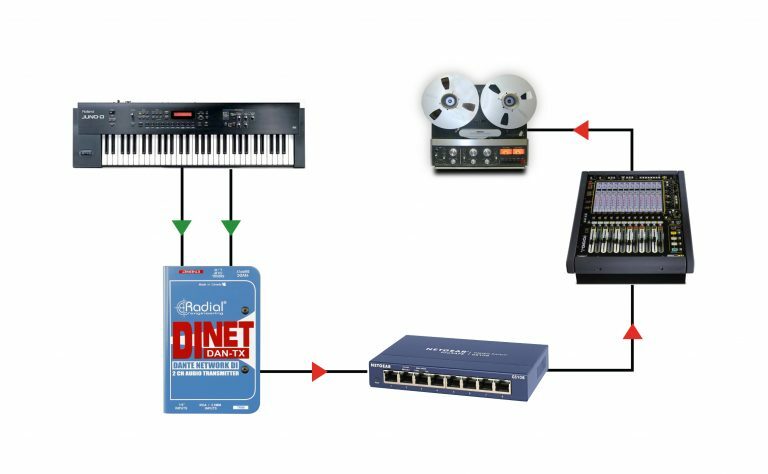 Plug in your stereo keyboards, synths, laptops, tablets or any other unbalanced consumer device and route through the Dante network without installing special software. 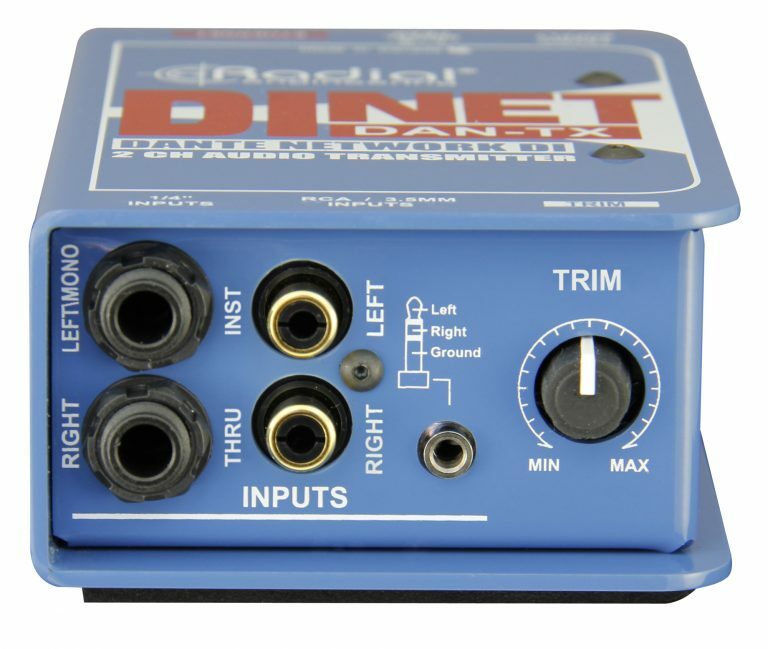 Simply connect to the ¼", RCA or 3.5mm inputs. 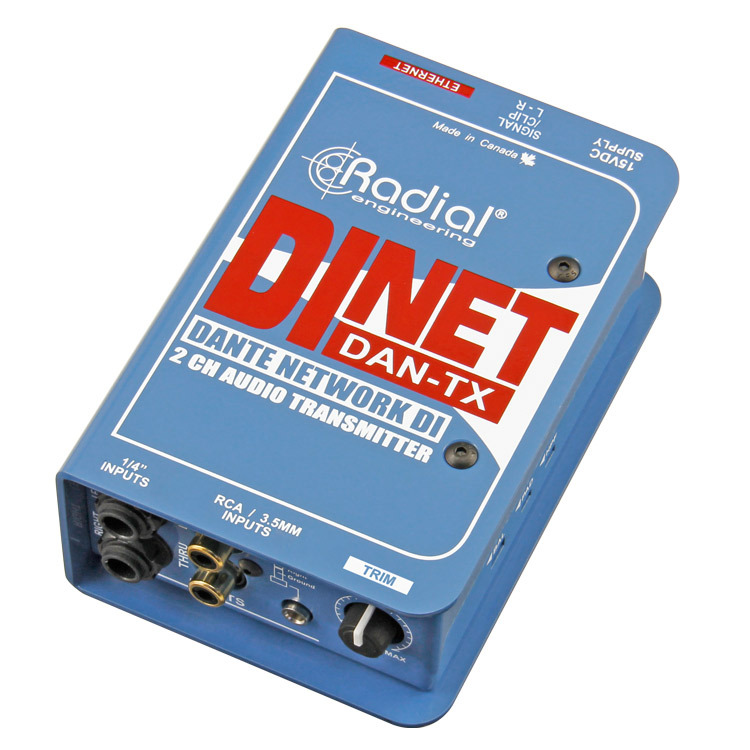 The 3.5mm input on the DAN-TX makes it easy to connect smartphones, tablets, and other mobile devices and connect them to your Dante network without worrying about installing software or finding adapter cables. 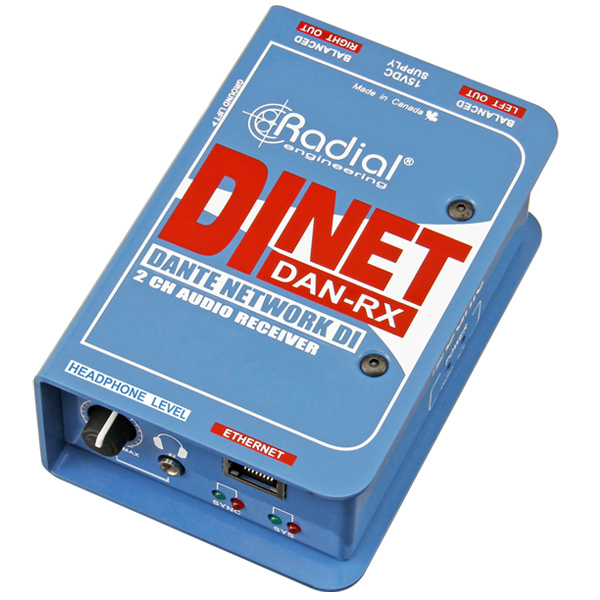 "Anything that someone walks up with, I can connect with it—I just plug into the Radial and all those levels are taken care of. I haven’t been able to overload it, either. 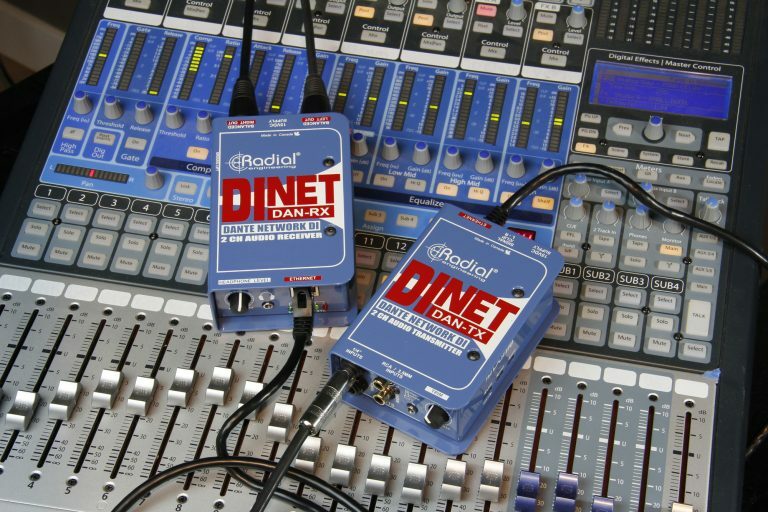 I’ve used them in other shows; I don’t work for Radial, but their DI boxes sound amazing."